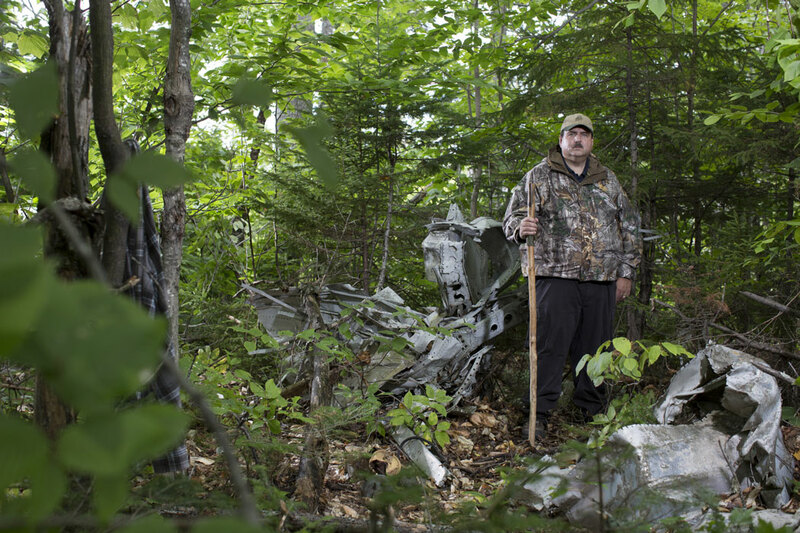 Peter Noddin, at a crash site near Perham, in Aroostook County. Water bugs skitter over a sunlit pool the color of iced tea. It’s only a few inches deep and maybe 25 feet across, the kind of permanent puddle you expect to find in a North Woods cedar swamp. Look more closely, though, and you notice the unusual geometry. The pool’s sides aren’t saucered. They’re steep, almost 90 degrees, to a depth of about 18 inches. One end is feathered slightly. This placid pool in the vast woods, about 10 miles southwest of Caribou, is not a natural feature. It’s the silted remnant of an impact crater. At 7:25 a.m. on September 22, 1942, eight twin-engine B-25C bombers took off from Presque Isle Army Air Field, bound for Newfoundland, en route to combat duty overseas. No sooner were they airborne than they were recalled because of low clouds and visibility. Six returned intact. 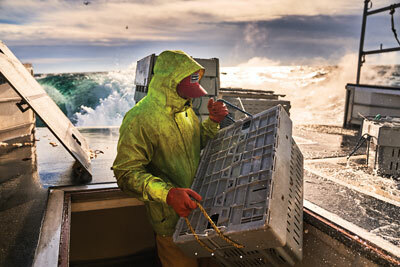 A seventh, which had lost radio contact, made it safely to Newfoundland. The eighth ended up here. Army investigators determined that the pilot likely became disoriented. The plane came out of the clouds in a steep descent, too low to recover. In the report’s clinical language: “aircraft lost left wing in sharp pull out and crashed in heavily wooded swamp.” All seven men aboard were killed. None was older than 27. 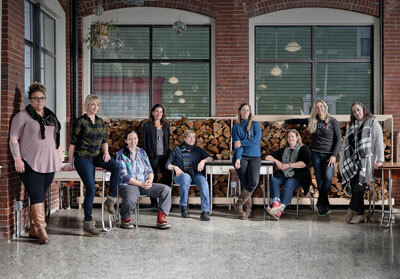 Their hometowns dotted the country from Seattle, Washington, to Washington, DC. Workers at potato farms for miles around heard the crash and resulting explosion. A few, in the nearby town of Perham, saw a fireball through the mist. Aided by local residents on the ground and by low-flying spotter planes overhead, searchers from the airfield hiked through several miles of difficult terrain to the crash site. Civilian searchers emerged from the rainy woods at dusk. Army personnel set up camp and remained overnight to complete the recovery and accident reconstruction. They removed the bodies, disposed of weapons, and retrieved any sensitive documents that had survived the flames. When they finished, they left the wreckage behind. The remains of a B-25C, rusting where they fell since 1942. On a sunny summer Saturday almost 75 years later, Peter Noddin, a 51-year-old industrial-safety specialist from St. David, in northern Aroostook County, leads an expedition to the site. With him are Eric and Elaine Hendrickson, of Presque Isle, part of a revolving cast of “wreck chasers” who accompany Noddin on similar outings all over the state. Noddin steers his SUV along several miles of unpaved logging roads. The last has knee-high grass growing between the wheel tracks. There is no marked trail leading to the site, and there aren’t any landmarks. But Noddin knows the GPS coordinates — and he’s visited before. 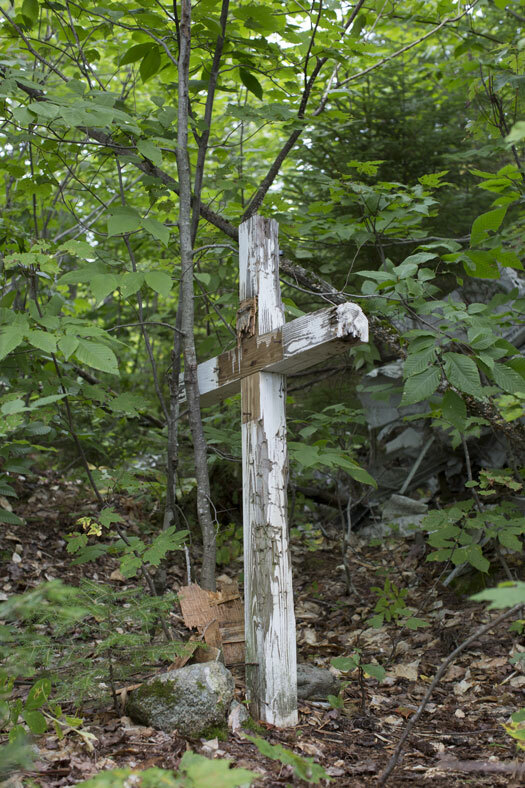 No one has done more to preserve the memory of Maine’s military crash victims than Noddin. 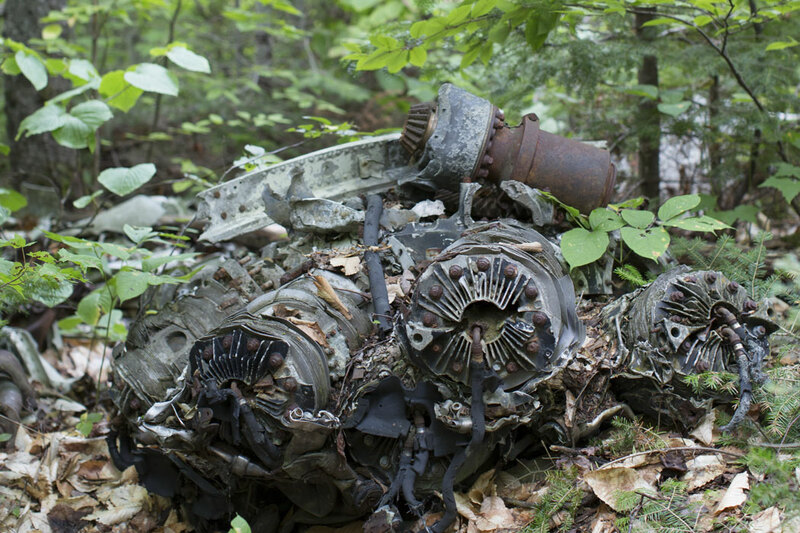 As the custodian of the Aviation Archaeology in Maine website, he maintains a meticulous database listing 805 military aviation accidents in Maine between 1919 and 1989. More than half happened during World War II. Forty-eight were fatal, claiming 143 lives, including the seven men who were killed here in these woods near Perham. The hike from the road is less than a mile, but the going’s slow. Brambles hide fallen logs, and picking through the brush takes focus, but the first glimpse of the wreckage changes the searchers’ mood. The excitement of discovery — there it is! — is tempered by a sense of intrusion. Around the drowned crater, the debris field extends in all directions. Large sections of the fuselage are intact, and Noddin mentions that a bear once used it as a den. Most of the plane’s paint was burned off or has worn away, and almost 75 years of exposure has dulled the aircraft aluminum to a matte finish. Still, most of the larger pieces show surprisingly little deterioration. Even small-print part numbers are legible, and on pieces that have retained their paint, Noddin can tell by the color where they once fit on the plane: external panels were olive drab, internal panels zinc-chromate green, and engine parts, like cowlings, black. Not all pieces are so well preserved. Untreated metal, used on certain engine parts and landing-gear components, is heavily rusted. Noddin points out a large, corroded piece of debris that he and his fellow searchers had puzzled over during an earlier visit. It didn’t look like any aircraft part they had ever seen. Eventually, they figured out what it was: a toolbox that had been flattened by the impact. Wartime aviation casualties were as inevitable around Maine’s airfields as on Europe’s battlefields. Not far from the toolbox sits a metal bucket, thoroughly rusted but intact. The recovery team, Noddin says, probably left it behind. Something about that bucket and that toolbox — an artifact of the living alongside an artifact of the dead — transforms the Perham B-25C crash from a distant historical abstraction into something immediate and tangible. Grass wanted to document the tragedy while there were still living witnesses — two Presque Isle men had vivid memories of the crash (both have since died). So a group from the museum, accompanied by reporters and a crew from WAGM-TV, hiked to the crash site. “We had a little ceremony where we fired a one-gun salute as we read each of the names of the people on the plane,” Grass says. On his next visit, Grass brought Jim Boutot, a Vietnam veteran from Castle Hill who hiked in with a handcrafted wooden cross strapped to his back. Not just a war, but a war waged with great urgency for an unambiguous purpose. Most Americans accepted that Hitler and Hirohito had to be stopped, even if that meant great sacrifice. The army didn’t have the luxury of elite flight-training programs, protracted testing protocols, or patience for ideal flying conditions. Just two hours after the crash near Perham, in fact, the army resumed flying out of Presque Isle — and a second B-25C from the same squadron went down only 15 miles away, killing another seven soldiers. Hundreds of thousands of airmen, many with no greater qualification than a high school diploma, were rushed through training. As soon as they reached a minimum level of competence, off they went, aboard relatively primitive, mass-produced planes that were delivered as quickly as they were riveted together. A lot of those planes ended up in Maine’s airspace (one researcher estimated that 10,000 European-bound warplanes either departed from Maine or passed over). Three U.S. Army airbases — in Presque Isle, Houlton, and Bangor — served as departure points for Europe. Brunswick Naval Air Station, meanwhile, served as a training ground for Royal Air Force pilots, and Lewiston/Auburn and Sanford hosted auxiliary naval airfields. RAF training flights, usually conducted in single-engine F4U Corsair fighter planes, were notoriously hairy. There were 132 mishaps involving Corsairs in Maine in 1944 alone. (Two remain at the bottom of Sebago Lake after colliding over the water during a training exercise that May.) All of which meant that wartime aviation casualties were as inevitable around Maine’s airfields as on Europe’s battlefields. For as long as he can remember, Noddin’s been obsessed with documenting them. In November 1962, his father, Paul Noddin, took part in a three-day search through snowy woods for a downed supersonic F-101B Voodoo fighter jet out of Bangor’s Dow Air Force Base. Paul had been hunting near Macwahoc Plantation, about 20 miles east of the Millinocket paper mill where he worked, when the plane crashed nearby during a training exercise. One of two airmen aboard ejected and parachuted into the woods. He was found alive. The pilot couldn’t complete the ejection sequence in time. His body was found at the crash site. Stories of that search, and his father’s part in it, colored Peter Noddin’s childhood, which he spent exploring the woods near Millinocket with his friends. “We would study old maps, try to find old farms and stuff,” he remembers. Later, while working his way through UMaine as a firefighter/EMT, Noddin spent what free time he had perusing newspaper archives for info about military crashes. The first he went looking for was the F-101B fighter site that his father had helped find. Then set out to find others. Each time Noddin confirmed a site, he mapped the location and inventoried the wreckage, listing every piece he found. He became an amateur aviation archaeologist, although he didn’t know that’s what it was called. “I just thought of it as me doing my thing,” he says. The internet led him to others who shared his interest, including Jim Chichetto, president of the Maine Aviation Historical Society. After Chichetto died in 2003, Noddin was the organization’s president for a time. He merged his files with Chichetto’s to form his current database. And it was in Jim Chichetto’s files that Peter Noddin encountered his white whale. The two deadliest plane crashes in Maine history happened on the same summer afternoon. On July 11, 1944, shortly after midnight, a B-17G Flying Fortress heavy bomber with a 10-man crew departed Kearney, Nebraska, for Dow Army Air Field in Bangor. It never arrived. 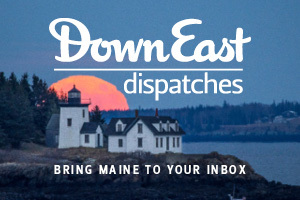 Searchers found the wreckage on the side of Maine’s Deer Mountain, northwest of Rangeley. There were no survivors. The 10 fatalities made the Deer Mountain B-17 crash, early in the afternoon of July 11, 1944, the deadliest aviation disaster in Maine history. But that grim distinction lasted just a few hours. At about the same time that the B-17 crashed, Second Lieutenant Philip “Phee” Russell, a South Portland native, was landing an A-26 Invader light bomber at Bradley Field in Connecticut for refueling. Russell, an experienced flight instructor at Barksdale Field, in Louisiana, was headed home for a visit. 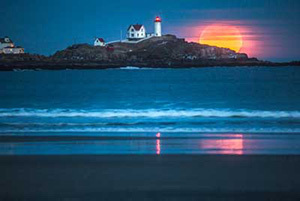 The Army had granted him permission to conduct a “long-distance training mission” to Maine. Russell had completed the first 1,300 miles without incident. All that remained was a short, 170-mile hop to Portland Municipal Airport, where his wife and his 3-month-old daughter would be waiting to greet him. Something went wrong as Russell approached Portland around 4:45 p.m. Army investigators said Russell became disorientated in the fog. Some witnesses insisted, however, that there was no fog. They said they could see the plane clearly enough to detect smoke pouring from the starboard engine. Whatever the reason, the plane never touched down at the airport. Instead, it flew past the end of the runway at high speed and low altitude. It crashed in the recently constructed Westbrook Trailer Camp, alongside Long Creek. The “semi-permanent” trailers had been assembled quickly, to accommodate an influx of workers at the New England Shipbuilding Corporation, which produced Liberty ships for the U.S. and U.K. The wooden trailers had hookups for heating oil, kerosene, and natural gas. The crash sparked a conflagration. Russell and his navigator, Wallace Mifflin, died instantly. The crash also killed 17 people on the ground, children among them. “There were guys who came home from the shipyard to a burnt crater in the ground where their family had been,” says John Kierstead of the South Portland Historical Society. Kierstead’s father, Art Kierstead, knew Phee Russell. Russell was a star athlete at South Portland High School, and Art had grown up emulating him. Art, who had been drafted in 1943, was in a foxhole in Normandy when he received news of the crash. He could hardly comprehend it. Phee Russell had died piloting a bomber — not in the shell-pocked French countryside or on an atoll in the Pacific, but right there in South Portland. Over the decades, the Long Creek disaster, as it was known, became fixed in the city’s collective consciousness. “But nobody thought to put up an actual memorial,” Kierstead says. This oversight was driven home one day when Kierstead took a visitor to the crash site. “I said, ‘Believe it or not, the worst air disaster in Maine history happened right here.’ ” At the precise spot where Phee Russell’s A-26 had crashed, there was now a swimming pool in a condo complex. So he resolved to put one up. Aided by the city of South Portland, which provided some land near the crash site, and $11,000 from an anonymous donor, Kierstead placed a monument to the Long Creek disaster. When the memorial was officially dedicated in 2010, South Portland showed that it had not forgotten the events of July 11, 1944. “People came out of the woodwork,” Kierstead says. It started as a rumor. 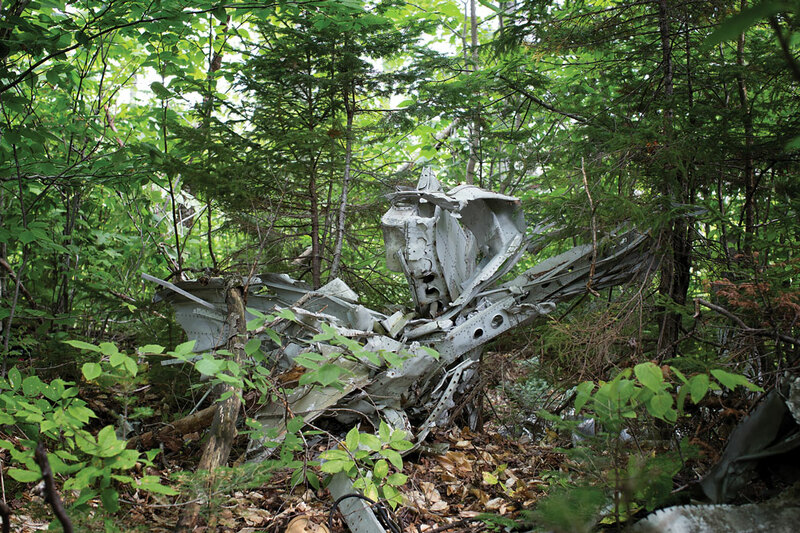 Sometime in the 1980s, a bush pilot told Chichetto he’d spotted what looked like wreckage from a WWII–era plane near Depot Lake, in Maine’s extreme northwest, near the Quebec border. Chichetto had searched the area, but found nothing. The story intrigued Noddin. 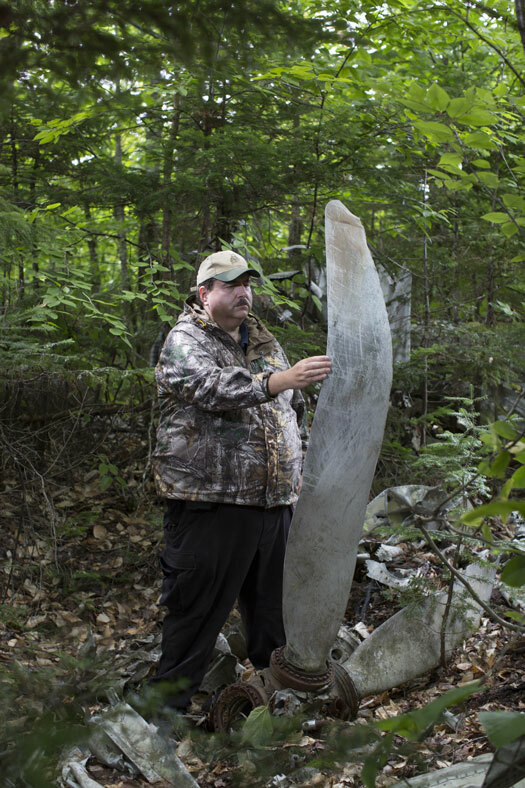 He checked his sources, but could find no U.S. Army report of a plane ever having crashed in that part of Maine. That was odd; in most cases, it didn’t take long to match a crash site with a report. Thus began a 10-year quest to find the mysterious wreckage, identify it, and figure out how it got there. Noddin interviewed more than 100 sources. He logged hundreds of miles of driving, followed by more miles of hiking, through one of the most remote portions of Maine. He even bummed a ride on a plane to conduct an aerial search. All of which turned up nothing. On a hunch, Noddin checked the Royal Canadian Air Force’s records. The only report he could find of an incident anywhere near that area was of a bomber, Digby 749, that had crashed “near Rivière-du-Loup,” in Quebec, some 40 miles from the Maine border, on November 17, 1940. That didn’t square with reports of wreckage at Depot Lake, but Noddin decided it was worth following up anyway. He found an account of the crash in a Canadian newspaper. It reported the location as Little East Lake. In Maine. Noddin looked at a map: Little East Lake had a shape similar to Depot Lake, so it was possible that the bush pilot who spotted the wreckage had misidentified the location. Maybe, Noddin thought, the Canadian air force deliberately misstated the location because they didn’t want the official report to acknowledge that a Canadian warplane had violated a neutral country’s airspace. (The U.S. wouldn’t join the Allied war effort until December 1941.) Armed with this new theory, Noddin hiked to Little East Lake, and that’s where he finally found the mystery plane — or what was left of it. Scavengers apparently had made off with the bulk of the wreckage after the bush pilot first spotted it. All that remained were one motor cylinder and some pieces of frame. They were from a Douglas B-18 Bolo Medium Bomber: Digby 749. That accounted for the plane. But what had become of the crew? But as a former volunteer fire chief who spent 25 years as an emergency responder, Noddin also has great empathy for those who’ve endured a tragedy. The emotional wounds never fully heal. Not long after his database went online, Noddin began hearing from victims’ relatives. A family from Pennsylvania “packed up and headed to Maine right out of the blue because they found out that I knew where this one individual’s father’s crash site was,” Noddin says. He took them to the spot. He’s now led more than a dozen such expeditions, and each has been unique. Late in life, Keener decided that he needed to visit the site of his father’s crash. He made a preliminary visit to Bangor in 2003, but says he didn’t really get anywhere. So in 2008, he contacted the Maine Aviation Historical Society. A couple of its officers, Robert Umberger and Al Cormier, arranged for Noddin to be there when Keener made his next visit. Later, a continent away, he held another ceremony. He’d set aside a handful of his father’s possessions. Then he took Second Lieutenant Al Keener’s green military trunk — what he called “the body I’d hauled around all my adult life” — and burned it on a beach at Puget Sound. Noddin’s research has revealed that there were six crewmembers aboard Royal Canadian Air Force plane Digby 749 when it took off from Dartmouth, Nova Scotia, on Saturday, November 16, 1940. They spent an uneventful afternoon on anti-submarine patrol off Canada’s southeast coast. But when the pilot, Flying Officer J.H.U. Leblanc, attempted to return to base that evening, he learned that it was socked in. A strong weather front was whipping up high winds and low clouds throughout the Maritimes. A nighttime landing would have been too risky. Digby 749 was ordered to Montreal, 500 miles west, where skies were clear. A direct path would have cut across central Maine. That posed a problem. For more than a year, the countries of the British Commonwealth, including Canada, had been at war with Nazi Germany. But the U.S. was still neutral (Pearl Harbor was more than a year away). The Canadian military couldn’t risk creating a diplomatic incident by violating American airspace. The Digby was not a state-of-the-art military aircraft. It was a repurposed version of the Douglas DC-2, a popular passenger plane in the 1930s. And now, relying on a radio compass that worked only intermittently, the crew had to circumnavigate Maine by flying north through strong winds. That added more than 100 miles to a flight that would have stretched the Digby’s fuel capacity to the limit even under ideal circumstances. The plane was still more than 200 miles from Montreal when Leblanc realized that he would never make it. It was now past midnight. The crew, as well as the fuel, was exhausted; Digby 749 had been aloft for 14 hours. Below, near Quebec’s border with Maine, lay a wilderness of snow-dusted trees and lakes crusted with thin late-autumn ice. An emergency landing was out of the question. The only option was to bail out. It was then that the six men aboard Digby 749 discovered that the plane had only five parachutes. The two lightest airmen volunteered to share a parachute. They jumped first. Three others followed. Leblanc, having held the plane steady for the others, went last. Digby 749 plummeted to the earth while the crew dispersed like dandelion spores in the freezing night. To survive a parachute drop into a remote forest on a frigid night requires luck. To not only survive the jump, but also land in soft snow within 50 feet of a logging camp, requires a win-the-lottery level of good fortune. That’s what happened to Leblanc, when he drifted to earth in Quebec. The loggers took him to a rail station, where he sent word of the crash, and the approximate location, back to base. Within days, searchers had rescued Leading Aircraftman E.J. Benoit and Airman First Class Elmer Johnson. Then more snow hit the area, followed by bitter cold. When the search ended in early December 1940, three of Digby 749’s crewmembers remained missing and were presumed dead. The next spring, the bodies of the two men who had volunteered to share a parachute, Flying Officer G.J. Richardson and Flight Lieutenant G.F. Clay, were found in Quebec’s Lac de l’Est. Apparently their combined weight was too much for the thin November ice to support. They had broken through and drowned. They died less than two miles from where Leblanc had made his lucky landing. The remains of the sixth crewmember, Leading Aircraftman Hollis E. Howard, weren’t found until 1944. And for Peter Noddin, Aircraftman Howard’s fate poses the final unanswered question in his investigation of Digby 749. The record is ambiguous about where Aircraftman Howard died. Was he in Maine or Quebec? The question gnaws at Noddin. He’s concluded, based on his research, that Howard survived the parachute drop before succumbing to exposure. A letter written by Digby 749’s squadron commander suggests that Howard covered a lot of ground and built several shelters before he perished. Noddin’s also heard secondhand stories of a pair of Maine game wardens exchanging pistol-shot signals with someone during the search. Finally, in his service record, Howard’s date of death is listed as November 29, 1940 — 13 days after the crash. Seventy-six years later, with diplomatic sensitivities long since moot, does it really matter which side of the border Leading Aircraftman Howard was on when he died? It does to Noddin. For one thing, there’s the matter of historical record. If Howard was on the U.S. side of the border, he’d have been the first Allied airman to have died within the line of duty in Maine. But there’s another reason why it’s important to nail down that last detail. Someday, Hollis Howard’s descendants might want to pay their respects at the spot where he died. Who’s going to show them where it is?  Join the Down East family — Subscribe for just $24.